UK political parties show support for a ‘polluter pays’ rise in taxation of tobacco firms. Display restrictions on cigarettes and tobacco products sold by small traders in Wales have come into force. Acoustic device can rapidly isolate circulating tumor cells from patient blood samples. The costs associated with false-positive mammograms and breast cancer overdiagnoses appear to be much higher than previously documented. Screening has the potential to save lives. A Mayo Clinic-led team of international researchers has now combined 77 of these common genetic variants into a single risk factor that can be used to improve the identification of women with an elevated risk of breast cancer. This factor, known as a polygenic risk score, was built from the genetic data of more than 67,000 women. Understanding and exploiting complexity will expand curative potential, Science review notes. Voest said the study’s conclusions are a bit circumstantial, but it would be very difficult to conduct a trial to confirm the findings. Headquartered in Bethesda, MD, Northwest Bio is at work on cancer vaccines that use dendritic cells to galvanize an immune response. As these mechanisms get more worked out, the hope is that the HDAC compounds can get on a more sound footing, but for now, they're minor players in the oncology world. The second thought is whether Chipscreen plans to seek approval to market the drug anywhere outside China. Last month, AbbVie agreed to buy Pharmacyclics--including its share of Imbruvica and some pipeline meds--for $21 billion. The price stunned many analysts at the time. "Most of our investments tend to be early-on, smaller, midsize," Gorsky told the Journal. With the settlement, Novartis will pay Seattle-based Juno $12.25 million immediately and add more payments down the road, including royalties if the Swiss drug maker’s lead CAR-T product comes to market. The Paris-based biotech Cellectis has joined a handful of other companies in going public with its chimeric antigen receptor (CAR) T-cell therapies, grossing more than $228 million in its initial public offering (IPO) on the Nasdaq last month. The centres are being opened by private health company Proton Partners International, which has £100m of financial backing from institutional and private investors. While experts are not in agreement as to whether the two terms mean the same thing, the definitions of personalized medicine and precision medicine seem to be merging. Doctors say a lack of funding for specialist services means patients who are suffering from head and neck cancer are forced to travel hundreds of miles for their care. Rise of the cheap package holiday and desirability of tanned skin blamed for increase. People over 65 are around seven times more likely to develop malignant melanoma compared to 40 years ago, according to new figures released by Cancer Research UK. The campaign has alarmed scientists. Payers want to know if they are getting value for their money. Darius Lakdawalla and colleagues argue that care innovations should be valued by subtracting the health benefits they yield from the cost of care. They use three case studies—colorectal cancer and two treatments for multiple myeloma—to illustrate that health benefits can be greater than, equal to, or less than the cost of new treatments. 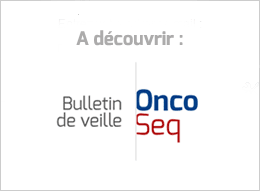 This blog summarizes the French experience, where the French Haute Autorité de Santé (HAS) has received legal mandates to steadily incorporate CE into its CER activities. These experiences provide insights for other public and private payers struggling with how and whether to follow a similar path. Unfortunately, there will never be a shortage of “wellness warriors” like Jess Ainscough, Belle Gibson, and Candace Marie-Fox. When one dies or is revealed as a fraud, others rise and the same people profit from them. Same as it ever was, only far easier, thanks to the Internet. The reason is that, as ridiculous as I find Sayer Ji, I know that that his advice, if followed, will lead to the preventable deaths of women with BRCA1 mutations. The paper has been cited 482 times, according to Thomson Scientific’s Web of Knowledge. Alfredo Fusco, the researcher in Italy who is under criminal investigation and has had seven papers retracted, has lost yet another study. The latest paper, in the European Journal of Cancer, studied mice with a genetic alteration associated with lipomas (benign fatty growths) in humans.